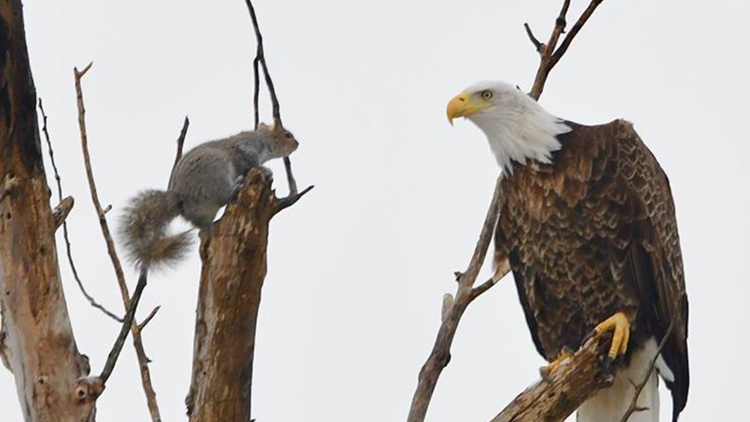 A gray squirrel holds her own in a tree in the face of a bald eagle as one man captured the whole ordeal. You're lost, cold, thirsty and hungry. 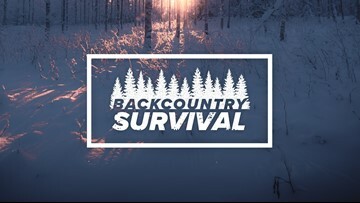 Are you prepared to survive a winter night in the Idaho backcountry? 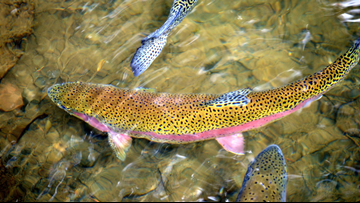 Prize money ranging from $50 to $1,000 is awarded to any angler who turns in a rainbow trout head containing a coded wire tag. Ron Christensen with Idaho Mountain Search and Rescue shows us what to pack in your emergency survival kit before heading out into the backcountry. 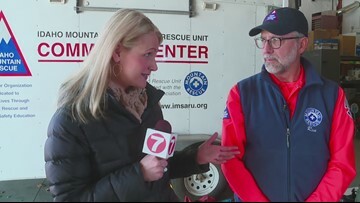 As part of KTVB's Backcountry Survival Series, Tami Tremblay talks to avalanch survivors and resucers about how to prepare and suvive an avalanche. 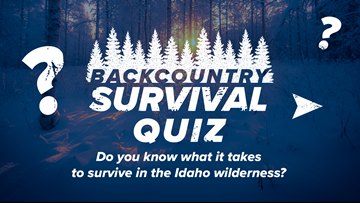 Backcountry survival quiz: Could you survive a winter night in the Idaho wilderness? Test your knowledge: Are you savvy enough for an unexpected emergency in the Idaho mountains? 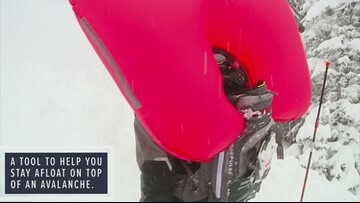 Avalanche airbags help keep people above the snow during an avalanche and is a must have while backpacking or skiing alone. 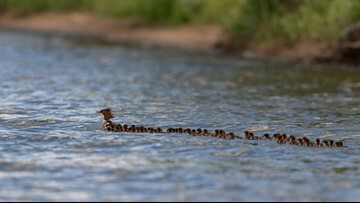 Bemidji wildlife photographer Brent Cizek snapped a series of photos of the incredible squad earlier this summer, as they made their rounds across Lake Bemidji. 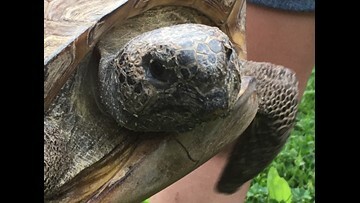 There are over 300 species of turtle roaming planet Earth - and almost half of them are threatened with extinction.